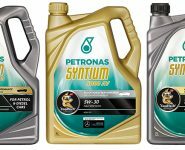 Petronas Lubricants International launched its flagship passenger car motor oil, Petronas Syntium, with CoolTech in Australia over the Australian Grand Prix weekend in March. The Malaysian company held a press conference in front of the Australian and international media at Melbourne Central Shopping Mall where Formula One World Champion Lewis Hamilton spoke about the virtues of the Petronas product. Earlier he had been introduced to the crowd at the major city shopping centre as a part of the oil company’s activation. Petronas claims the lubricant is uniquely formulated to fight excessive engine heat, keep smooth oil flow and maintain optimum engine performance for a trouble-free drive. The oil was developed at the Petronas state-of-the-art laboratories in Turin, Italy to ensure it performs well as the first line of defense against excessive engine heat. Petronas says that its Syntium with CoolTech is proven to outperform conventional oil by up to 63 percent in heat transfer and is up to 51 percent more efficient than conventional oil in dissipating damaging excessive engine heat. These benefits, it claims, help to keep engines running at normal operating temperature under extreme driving conditions. “Petronas takes great pride in redefining automotive fluid technology with our new product. Petronas Syntium with CoolTech is not only another breakthrough; it is the trusted lubricant brand for millions of drivers in 80 markets globally. Our strong footing in these markets provides us with the right foundation to capture new growth opportunities to seal our position as one of the world’s top lubricant companies in the coming years,” Petronas Vice President of Downstream Marketing, Data Sri Syed Zainal Abidin Syed Mohd Tahir, said. Petronas has had a presence in the Australian market since 2000 but has mostly been servicing the industrial and heavy vehicle sectors. “Since opening our Australian office we’ve seen increasing demand for our high quality synthetic motor oils by all user groups. This launch officially provides Australian drivers with access to a premium motor oil that delivers optimum driving performance and reliability,” Group Managing Director and CEO of Petronas Lubricants International, Giuseppe D’Arrigo, said. AAAA member company, CoolDrive, will distribute Petronas Syntium with CoolTech in Australia. CoolDrive will have Petronas products on display at Autocare 2018 in Sydney on May 4-5 and there will be representatives from Petronas at the CoolDrive stand to answer any customer queries. 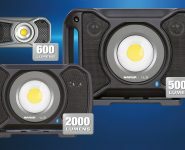 CoolDrive’s John Blanchard said the company would be happy to field any enquiries from potential stockists at the convention. Potential retailers not at the convention should call Graeme Dyall on 0434 159 335.